The target nursing home, skilled nursing facility, rehab center or acute care facility could be doing business in Miami, Jacksonville, Tampa, Orlando, Hialeah, Tallahassee, Port Saint Lucie, Fort Lauderdale, Hollywood, Saint Petersburg, Cape Coral, Fort Myers, Sarasota, Saint Augustine, or anywhere else in Florida. The group believes some Florida real estate developers are one in the same as the Regional Center promoting a real estate opportunity and they fear the developer may be hiding key information from EB-5 Visa investors including the part about the developer has used some of the investor money to bail out other real estate projects, or they have misused the money by spending it on themselves. The group also believes a Florida real estate developer in cahoots with a Regional Center could be bribing foreign officials to gain the trust of international investors who want to participate in the US EB-5 Visa Program. * A Defense Contractor that is lying to the government about the performance of their product, they are over billing the government, or they are paying off foreign officials to sell their product or products. * A bank or financial institution is gouging their customers with ridiculous fees to artificially prop up profits. * A pharmaceutical company is intentionally not going public about the fact their drug product is killing people or the drug has severe undisclosed side effects. An energy company is lying about pollution or environmental damage that was caused by their operations. * An auto or truck maker’s executive team that is intentionally withholding information about defective or dangerous parts or equipment on automobiles or trucks. * A national retailer hiding data breaches that puts US customer’s credit scores, Social Security numbers and date of births in the hands of hackers. On November 16th, 2017 the Department of Justice announced a $1,250,000 settlement from the operator of a nursing home in Mississippi based nursing home for providing effectively worthless services to residents. While the whistleblower reward has not yet been announced it is expected to be around $150,000. The Florida Corporate Whistleblower Center intends to increase their efforts to identify nursing home whistleblowers in Florida in the hopes of helping them get rewarded for their information. The group’s initiative is focused on the following widespread types of wrongdoing. * A nursing home manager or owners that force healthcare workers to perform unnecessary medical procedures on their patients such as physical therapy, expensive ambulatory or cognitive testing on patients with dementia. 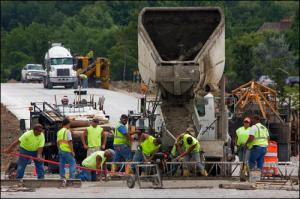 What might a Davis Bacon Act Violation look like: “Let’s say we have a highway contractor or a general contractor working on a federally funded job. The hypothetical company has 100 employees that are laborers. The prevailing wage for the area where the work is being done is $25 per hour-as per the Davis Bacon Act. The job will last for 15 months and during this time the laborers are all working 40-hour work weeks. In this scenario a laborer should be making $1000 per week or $4000 per month if they are making $25 per hour. However, if the laborer is only being paid $17.50 per hour they will be making $700 per month. This is a $300 difference. If we multiply the $300 difference X 100 (the number of laborers) the total is $30,000 per week or $120,000 per month X 15 months equals $1,800,000. On October 30th, 2017, the Department of Justice announced that one of the nation’s largest hospice providers has agreed to pay $75 million to resolve a government lawsuit alleging that defendants violated the False Claims Act (FCA) by submitting false claims for hospice services to Medicare. The settlement resolves allegations that between 2002 and 2013 the hospice provider knowingly submitted or caused to be submitted false claims to Medicare for services to hospice patients who were not terminally ill. While the whistleblower reward has not yet been announced it is anticipated to be in the millions of dollars. For attribution please refer to the Department of Justice’s October 30th, 2017 press release regarding this matter. https://www.justice.gov/opa/pr/chemed-corp-and-vitas-hospice-services-agree-pay-75-million-resolve-false-claims-act. * A Florida based company providing transportation or logistics services to the US Department of Defense or any other federal agency. * A Florida based company providing any type of food, fuel or security services to the US Department of Defense or any federal agency. * A Florida based road builder or construction company providing services to the Department of Transportation or any other federal agency. * A company in Florida that is overbilling the US General Services Administration on a contract, or out of compliance with a GSA contract. * A Florida based food distribution company that is overbilling the Department of Agriculture for school lunch programs, or any other type of food service. * A Florida based environmental contractor that is overbilling the EPA for work being done at a Super Fund site or anywhere in the United States. * Special note the business could be located anywhere in Florida including Miami (The Medicare Fraud Capital of the USA), Jacksonville, Tampa, Saint Petersburg, Orlando, Hialeah, Fort Lauderdale, Tallahassee, Port Saint Lucie, or Cape Coral. * An employee at a skilled nursing facility that is forcing Medicare patients to undergo medically unnecessary rehab-therapy-every day, or almost every day. Managers at the skilled nursing facility force their rehab therapists to perform these medically unnecessary procedures—or the therapist is only working part time-or they get fired. * A Florida based hospice provider that is signing up Medicare patients for hospice-even though the patients do not qualify for hospice-because they are not dying. * A nursing home operator in Florida that consistently billing Medicare as if they are fully staffed and their Medicare patients are receiving proper care-when in reality the nursing home is constantly short staffed and patients are receiving minimal at best treatment. Minority or woman owned businesses frequently get preferential treatment on federal highway, public works, food services, transportation, EPA, Department of Defense or most other types of federal contracts. In 1983, Congress enacted the first Disadvantaged Business Enterprise (DBE) statutory provision. This provision required the Department to ensure that at least 10% of the funds authorized for the highway and transit Federal financial assistance programs be expended with DBEs. Since 1987 DOT has established a single DBE goal, encompassing both firms owned by women and minority group members. * School or commercial builders in anywhere in Florida providing services of federally funded projects. * Food services contractors providing food services to federal lunch/meals programs in Florida. * Transportation companies based in Florida that are providing any type of transportation services to the federal government. 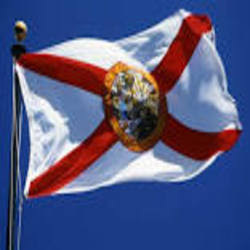 * Any type of contractor/subcontractor based in Florida that is providing services to the Department of Defense or EPA. * A nursing home, skilled nursing facility or a rehab center that is billing Medicare as if they are fully staffed when the facility is grossly understaffed. * A nursing home, skilled nursing facility or rehab center billing Medicare for medical treatments or procedures that never happened. * A skilled nursing facility, rehab center, or nursing home forcing their patients to undergo expensive cognitive, ambulatory, speech or other very expensive testing when it was not medically necessary. The Center says, “If a nursing home, skilled facility or rehab center are aggressively overbilling Medicare for being fully staffed when they are not, for medical treatments/routine care that did not happen and or for unnecessary medical treatments the owners of these establishments could be pocketing hundreds of thousands of dollars or over a million dollars per year and Medicare is so dysfunctional they probably would never know-or care.